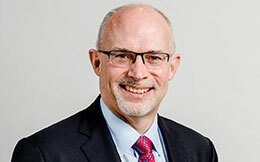 Roger joined the Thames Tideway Tunnel project in February 2012 as Head of Asset Delivery in the Thames Water Client team and transferred to Tideway, as Asset Management Director in September 2014. Roger is a Fellow of the Institution of Civil Engineers and has held board level positions in both contracting businesses and engineering and planning consultancies prior to joining the project. The first 20 years of his career was in the geotechnical contracting sector (mining, piling and ground engineering) in the UK and overseas before moving into transportation consultancy (highways, rail, aviation) for organisations such as Crossrail, Network Rail, TfL, Highways Agency and Department for Transport. Roger’s Asset Management Team at Tideway is responsible for integrated assurance, technical oversight of project delivery (including design assurance, compliance with planning permission, innovation, environmental sustainability, skills and employment) and the operational integration of the completed Thames Tideway Tunnel asset into the existing London sewer network.